If there is a classic design for street and strip cars, it is the WELD Draglite. This design is perhaps one of the most well known and established. It has a timeless look that has no shortage of style. 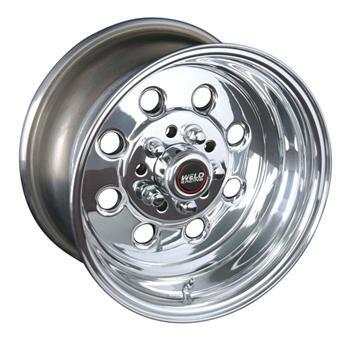 It is a two-piece wheel that uses a revolutionary cold-forged and welded construction for a lighter and stronger wheel, when compared to cast construction. A push-thru center cap is included with every wheel. Mag style lug nut required with a 1.310” to 1.375 shank length.